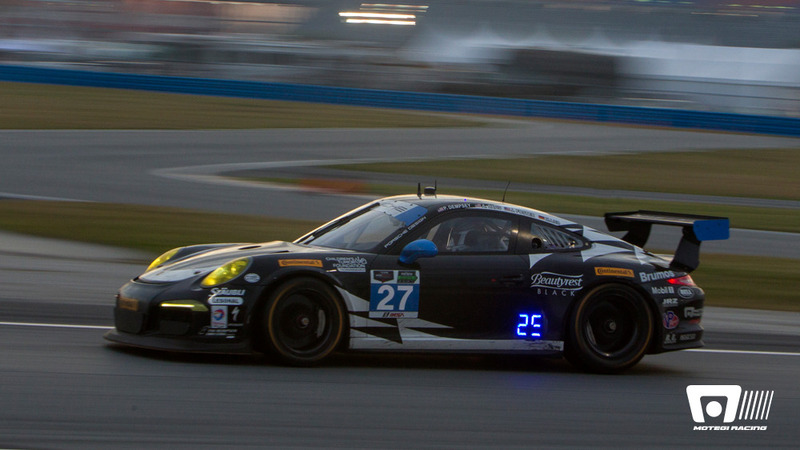 GT DAYTONA IS THE MOST COMPETITIVE CLASS IN THE IMSA TUDOR UNITED SPORTSCAR CHAMPIONSHIP SERIES. INDIANAPOLIS – GT Daytona is the most competitive class in the IMSA Tudor United SportsCar Championship series, and while the primary focus is on the tight battle for the Drivers, Team and Manufacturers championships several Motegi Racing wheels equipped teams are more concerned about winning their first race of the season. Patrick Dempsey Racing, Weathertech/Alex Job Racing and Team Seattle/Alex Job Racing – all Motegi teams that field Porsche 911 GT Americas – have shown great promise this season, and would love to win their first race at hallowed Indianapolis Motor Speedway, home of the Brickyard Grand Prix this weekend. But this is not the Indy that you immediately think of. They do not run on the famed 2.5-mile oval made famous by the Indianapolis 500. The IMSA competitors will run on the 14-turn, 2.435-mile road course that actually runs the “wrong way” down the front straight. Best finish this year for the No. 27 was fourth at Watkins Glen. The No. 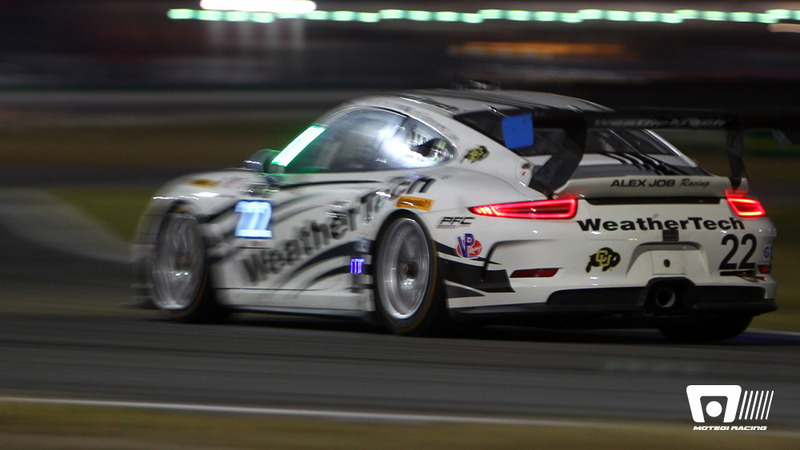 22 Weathertech/Alex Job Racing Porsche 911 of Leh Keen and Cooper MacNeil have a strong desire to win, too. They are still in hunt for the Drivers championship, only seven points behind leaders Townsend Bell and Bill Sweedler. 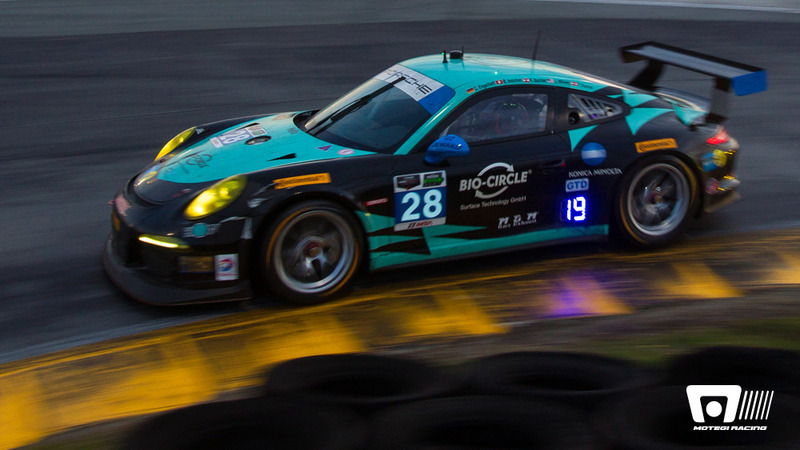 Bell and Sweedler won the season-opening Rolex 24 at Daytona in their Motegi Racing wheels-equipped No. 555 Ferrari 458 Italia and lead with 164 points, three ahead of Magnus Porsche drivers Andy Lally and John Potter. The No. 555 AIM Autosport Ferrari is ranked as the number one team in GT Daytona Team standings. Ferrari, Porsche, BWM and Dodge/SRT have posted GT Daytona class victories this season. Porsche leads the Manufacturers standings by one point over Ferrari, which also has a victory from the Motegi No. 63 Scuderia Corsa Ferrari 458 Italia of Jeff Westphal and Alessandro Balzan at Detroit earlier this season. 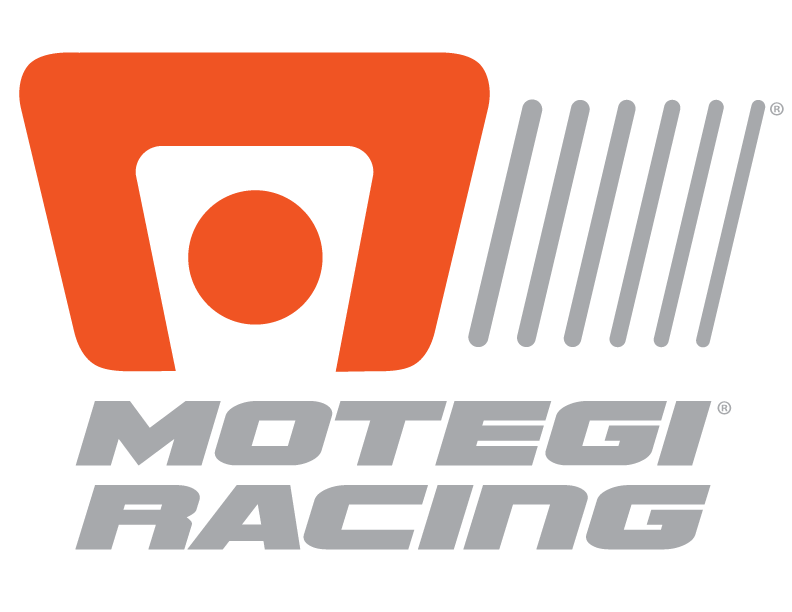 Motegi Racing wheels will be used by six of the 18 GT Daytona cars entered, including the No. 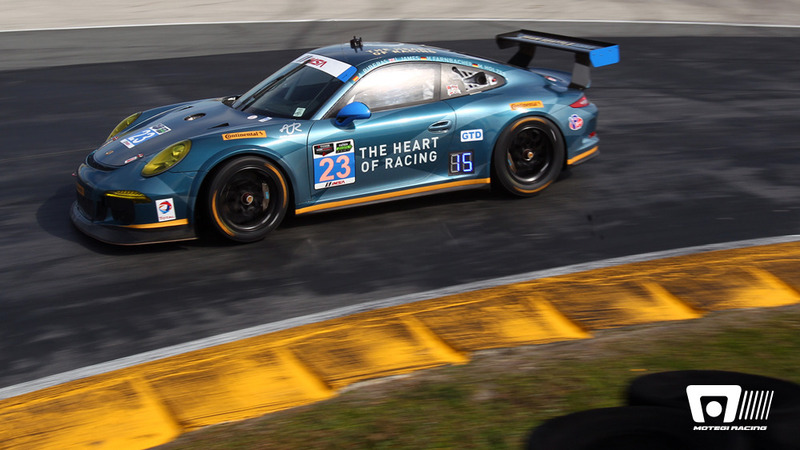 23 Team Seattle/Alex Job Racing Porsche 911 GT America of Ian James and Mario Farnbacher which has a second at Detroit and third at Sebring this season. The two Mazda Skyactiv-D prototypes and twin Dodge SRT Vipers in GT Le Mans will also be on Motegi wheels. The Brickyard Grand Prix will be a 2 hour, 45 minute race that will start at 5:30 p.m. ET Friday and be televised live on Fox Sports 1.